By now, everyone's heard about ebooks. 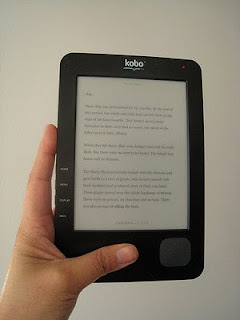 You've probably heard discussions about what's the best ereader, too. It's a whole new world out there for book lovers! If you'd like to learn more about using an ereader, and borrowing ebooks from the Library, then you're invited to attend another session of the Library's workshop, "Electronic Readers and Electronic Books." It will be held on Wednesday, April 20, at 6:30 PM. Click here for more information. The NH Downloadable Books blog has loads of information about getting started, and there may be answers to the questions that you have, if you're unable to attend the Library's workshop. Click here. The best thing about using the Library's ebooks is--they're free! We recently purchased another book in a really cute series of picture books about Ladybug Girl. Ladybug Girl by Soman and Davis was the first book, followed by Ladybug Girl and Bumblebee Boy, Ladybug Girl at the Beach, and the newest one, Ladybug Girl and the Bug Squad [all JP SOM]. A word of warning: if you read this series, be prepared for the preschooler in your family to ask for a red tutu, red rubber boots, and red wings, or any buggy variation thereof. Well, I found the answer to my question--ladybugs hibernate, but I didn't find out where in my kitchen my ladybug had been sleeping! And, since she's already gone, I guess I can't ask her directly! The Battle of the Bonnets? The Washington Post recently ran an article about a new film adaptation of Jane Eyre. The point of the writer is that the movie will stir up some kind of battle between the lovers of Charlotte Bronte and Jane Austen. Who's the best writer, character, movie, etc.? I don't see it happening. Why can't you like both Austen and Bronte? If you're one of those who is itching for a fight, though, then now's the time to re-read or rewatch Jane Eyre [F BRO, DVD JAN] and Pride and Prejudice [F AUS, DVD PRI] and pick a side. 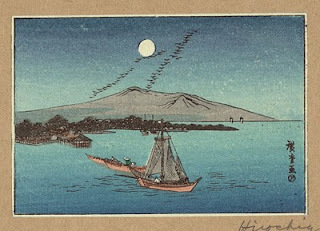 Poetry Friday--"Wild Geese Among the Reeds"
How many rows fill the northern sky? And you perched alone--what deep sorrow fills your heart? There is no need to comment--the parallels are so very obvious. And the sorrows so deep. The Poetry Friday Round-Up is being held at A Year of Reading. Woodcut print by Hiroshige courtesy the Library of Congress. 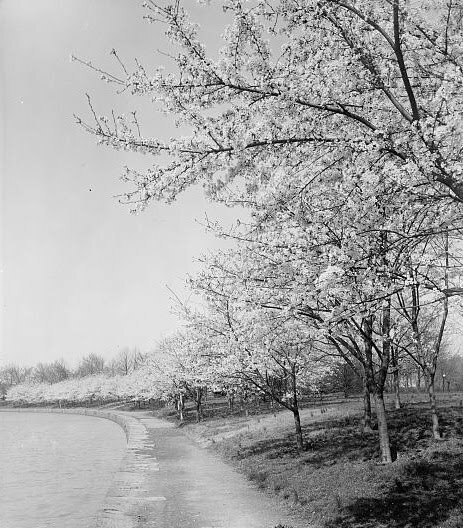 This coming weekend marks the beginning of the National Cherry Blossom Festival in Washington, DC. This year, there will probably be a little more subdued celebration due to the ongoing troubles in Japan. 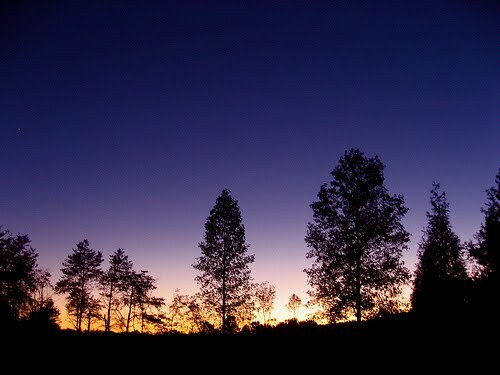 The Festival site acknowledges the disaster and is sponsoring a "Stand with Japan" walk today. Recently the memory of Ronald Reagan has been bandied about by both liberals and conservatives. Each group claims the other has it all wrong. "Reagan is the ultimate conservative!" "Reagan's policies would be considered liberal today!" Presimetrics: What the Facts Tell Us About How the Presidents Measure Up On the Issues We Care About by Mike Kimel and Michael E. Kanell [330.973KIM] will help you to figure it all out. What we discovered over and over again in the course of our research was surprising. It turns out that in many cases, what most people believe happened in the past didn't. In fact, the pundits and historians are often wrong. For example, it's commonly acknowledged that President Reagan was successful in cutting the size of the federal government. But this opinion is simply not borne out by the data. Of the eleven American presidents who served from the end of World War II to 2008, Reagan was the only one who increased both the size of the national debt as a percentage of Gross Domestic Product (GDP) and the percentage of Americans employed by the federal government. And if there's one thing about this book of which we are proud, it is the approach we followed. We started by picking the most important issues we could come up with, and then tried to find the data we needed to figure out what actually happened, and why. We tried to be consistent, and to treat each issue, data set, and administration the same way. And we never tossed out an answer because we didn't like it. Our philosophy was to ask questions and let the data answer. Some fun and surprising reading ahead! This past week the news has been full of stories about the nuclear power plants in Japan. What do you and your kids know about nuclear energy? Here are three books to cover both children and adults' questions--and, they all have the same name! Newton, David E. Nuclear Power. [333.7924 NEW] This is part of the Library in a Book series, which is a brief introduction to the subject. It contains resources to go to for additional information. Nuclear Power. [J 333.7924 NUC] This book is for an older elementary school/middle school reader. 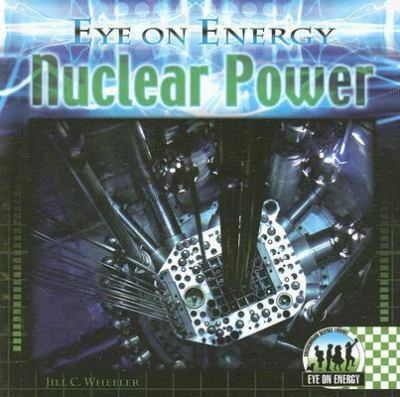 Wheeler, Jill C. Nuclear Power. [J 621.48 WHE] Basic information for the youngest reader. The U.S. Nuclear Regulatory Commission has a website that will answer some of your questions, too. The Iditarod, the race of 1150 miles which began on March 5, is now nearing its end. If you're a teacher, you may be interested in the blog "written" by a sled dog by the name of Zuma. Zuma's blog is appropriately called, Zuma's Paw Prints. It may be too late to involve your students in this year's race, but please make a note of it for next year. There is a sled-load of curriculum tie-ins! If you'd like to consider making a run, the first thing you'll need is a sled dog team. Look for Jim Welch's The Speed Mushing Manual: How to Train Racing Sled Dogs [798.8 WEL]. For my money, Knock at a Star: A Child's Introduction to Poetry by X.J. 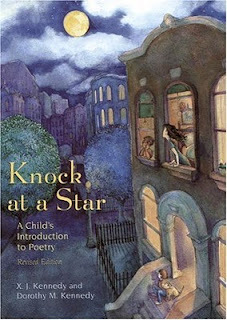 and Dorothy M. Kennedy [J 811.008 KNO], originally published in 1982, remains one of the best books for explaining poetry to elementary school kids. The expository parts are minimal while the exemplary ones are maximal! Since it is nearly spring by the calendar, I want to share this poem that the Kennedys use as an example under the section, "Word Music." Don't you want to run outside, grab a stick and find a pickety fence? I sure do! Head over to A Wrung Sponge where Andi is hosting this week's P.F. Round-Up. There seems to be a never-ending number of television programs in which a prize is awarded for some talent or accomplishment--Dancing with the Stars, American Idol, The Biggest Loser, America's Top Model, etc. There is always some animated judges' comments and often there is a component whereby members of the general public get to vote. In the U.K. there is a prize given to museums. The purpose of The Art Fund Prize for museums and galleries is to recognise and stimulate originality and excellence in museums and galleries in the UK, and increase public appreciation and enjoyment of all they have to offer. The Art Fund Prize has an online presence where tweeting is involved and the public gets to vote. Although there is no reality tv program attached, there are podcasts in which "Jeremy Deller will be recording an audio diary series for BBC Radio 4’s Front Row, telling stories and personal reflections as he visits the long listed museums alongside his fellow judges." Can you imagine anything like that happening in this country? Neither can I, and it's too bad. But, over here we do have many, many museums and galleries worthy of a visit, and, for quite a few of our regional ones, the Nesmith Library, has a reduced admission pass. Click here for more information. 150 Years of "Keeping America Informed"
The United States Government Printing Office celebrated its 150th birthday on March 4. It begin on the same day that Abraham Lincoln took the oath of office in 1861! contains more detailed financial information on individual programs and appropriation accounts than any of the other budget documents. 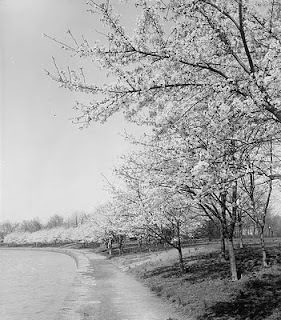 It includes for each agency: the proposed text of appropriations language, budget schedules for each account, new legislative proposals, and explanations of the work to be performed and the funds needed, and proposed general provisions applicable to the appropriations of entire agencies or group of agencies. If you'd like a copy for your very own, you can purchase one by clicking here. The GPO is more than budget reports, if you click here, you can find materials on all sorts of subjects, from the Accounting to World War II. So, Happy Birthday, GPO, and many more years of keeping us informed! 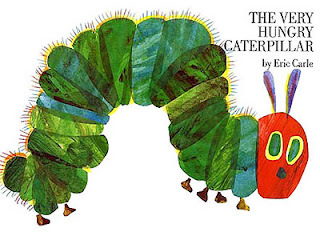 For what seems like a gazillion years (well, since 1969), Eric Carle's The Very Hungry Caterpillar [JP CAR] has been delighting toddlers and preschoolers with its romp through a world of food and its tactile appeal (who can resist putting a finger through a slice of salami?). Now, the American Academy of Pediatrics is going to be using the book in a campaign to teach children to make wiser food choices, with the ultimate goal of preventing overeating. I agree that childhood obesity is a problem, but I wonder about the co-opting of the caterpillar for purposes other than to delight a child. Must everything have a lesson? The long road toward recovery is now taking place in Japan after the devastating earthquake and tsunami that took place on Friday. Osborne, Mary Pope. Tsunamis and Other Natural Disasters.. [J 363.349 OSB] This is a nonfiction companion to the fictional title High Tide in Hawaii, but, the information it contains is not dependent on one having read the original. Looking to give to the relief efforts? Click here for list of aid providers. If you have difficulty understanding poetic forms, such as the sonnet, the pantoum, the ode, etc., then look for The Making of a Poem: A Norton Anthology of Poetic Forms by Mark Stand and Eavan Boland [821 MAK] on your next visit to the library. Let's say a sestina has you baffled. In the section portion there is a page "The Sestina at a Glance," which breaks the poem down to its 9 basic components. It is followed by a short "The History of the Form," then "The Contemporary Context," in which 12 sample sestinas are included. The final section is "Close-Up of a Sestina," which gives a little background information on one of the sample poems, in this case, "Sestina: Altaforte" by Ezra Pound. There is, of course, a short section on meter! One great feature of the anthology is that all the samples are by different poets, and, no poet's work is repeated even across the forms, so, the variety is fabulous! There is a glossary, short bios of the poets, and recommendations for more reading. Visit Liz Scanlon for the Poetry Friday Round-Up, and make sure you also read about her week of mentoring. The Nesmith Library now officially tweets! We finally joined Twitter last week, and we invite you to follow us, we're @NesmithLibrary of course! Our latest tweets will also appear in the upper right hand corner of the blog, in case you're not ready to join twitter yet. This post will be exceptionally short since I'm working my tweeting skills--I have to say everything in 140 characters or less. If you know nothing about tweeting, look for Twitter for Dummies by Laura Fitton [006.754 FIT] on your next visit to the library. Last week The Wall Street Journal had an article by Jeffrey Zaslow titled "Erasing Signatures From History." 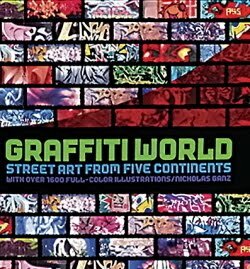 The article details a controversy over the removal of what is, in effect, graffiti in a Pennsylvania classroom. I'm sure you'll find it an interesting read! Why not celebrate by visiting the Kidlit Celebrates Women's History Month blog? There will be many bloggers and children's authors contributing to the month-long celebration, which is a collaborative effort from the KidLitosphere: The Society of Bloggers in Children’s and Young Adult Literature. Over the past few weeks the big news from around the country has been the effort by various states to discredit and weaken the labor movement in the public sector. No matter what side you support, it may help you to understand what is going on now, if you understand what has happened in the past. 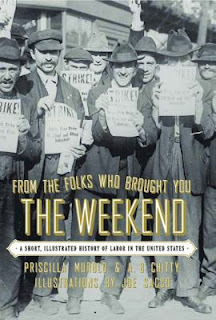 We recently purchased From the Folks Who Brought You the Weekend: A Short, Illustrated History of Labor in the United States by Priscilla Murolo and A.B. Chitty [331 MUR]. The book is written for a general audience and does not overwhelm the reader with footnotes and scholarly jargon. It even includes comic-like illustrations to aid in understanding. Particularly useful is a list of abbreviations found in the front of the book so that the reader is not overwhelmed by the alphabet soup of labor union and governmental agency names! You can find this poem in The Oxford Book of Children's Verse in America [J 811 OXF], The Random House Book of Poetry for Children [J 811.008 RAN], Sing a Song of Popcorn: Every Child's Book of Poems [J 808.81 SIN], The 20th Century Children's Poetry Treasury [J 811 TWE], and I'm sure a few more (I just got tired of looking!). I researched Laura Elizabeth Howe Richards online and found that she was the daughter of Julia Ward Howe, the woman who wrote the words to "The Battle Hymn of the Republic." I guess writing was in her blood. 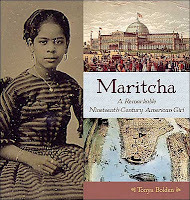 Richards won a Pulitzer Prize for a biography of her mother, and she also wrote the book Captain January that was later made into a film starring Shirley Temple [J DVD SHI]. 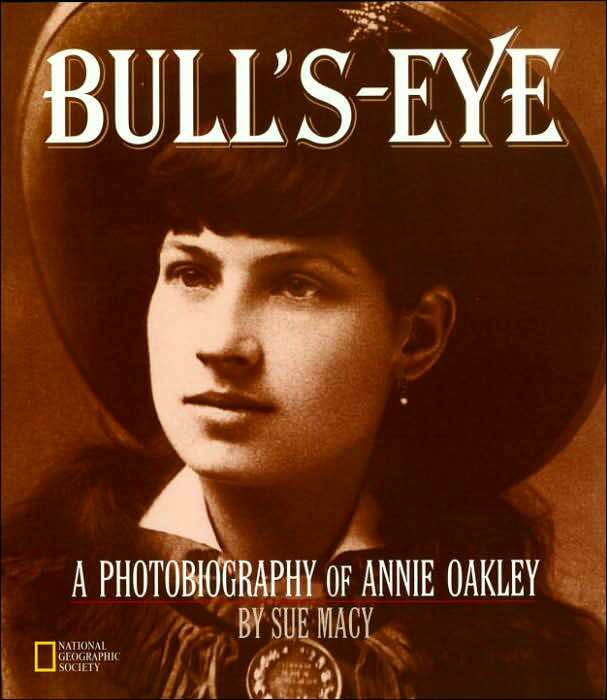 Although she's nearly forgotten today, in her time, 1850-1943, she was a well-known, and prolific author. The Small Nouns is hosting the Poetry Friday Round-Up this week, see you there! With only his heart to offer the princess, a poor man's son braves the climb of a steep glass hill to try and bring her happiness. His courage shows that true love can give us the strength to do the impossible. The illustrator has elected to tell the story using an elephant character. The more traditional, The Blind Men and the Elephant by Karen Backstein [E BAC], hails from India, and the elephant is integral to the story in which six blind men all touch a different part of an elephant. Each man comes up with a limited idea of what an elephant really is--no one gets the complete picture. A tale from Africa is retold by Eric A. Kimmel in Anansi and the Talking Melon [JP KIM]. 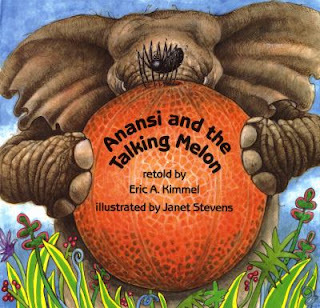 The elephant is the "sucker" in a trick played by the spider, Anansi. 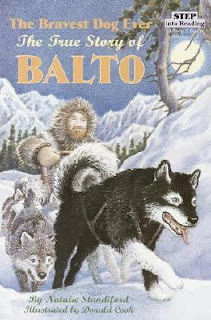 Folktales are not just for kids! Adults might enjoy the collection The Girl Who Married a Lion and Other Tales from Africa told by Alexander McCall Smith [398.089 MCC] in which is found the pourquoi story, "Why Elephant and Hyena Live Far from People." McCall Smith is better known as the author of "The No. 1 Ladies' Detective Agency" series [F MCC]. One of the longest lived elephants from children's literature is Babar by Jean de Brunhoff. Babar first appeared in 1933 (1931 in France) in The Story of Babar: The Little Elephant [JP BRU]. Bonjour, Babar! : The Six Unabridged Classics by the Creator of Babar [J BRU] contains all of the original Babar stories. 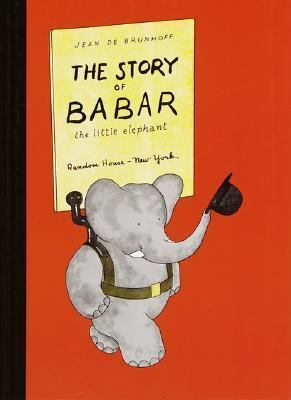 After Jean de Brunhoff passed away in 1937, his son Laurent, continued to write Babar stories. Some of these include the more recently published Babar's Museum of Art: (Closed Mondays), Babar's Yoga for Elephants, and Babar's USA [all JP BRU]. Babar: The Movie [J DVD BAB] was released in 1989. Through the wonders of the internet, courtesy of The Morgan Library & Museum, you can see what the original Babar book looked like in an early draft from 1930 or 31. 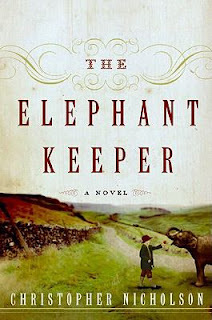 Yesterday I talked about the new film coming out that is based on the book Water for Elephants by Sara Gruen [F GRU]. Elephants are exotic and fascinating creatures and are the subject of several other adult fiction books. One is Hannah's Dream by Diane Hammond [F HAM]. Samson Brown is overjoyed when Neva Wilson is hired to replace him as caretaker to Hannah, the only elephant at the Max L. Biedelman Zoo, but while Sam and Neva work together to move Hannah to an elephant sanctuary, the zoo's director tries to revitalize his business by spotlighting Hannah as a star attraction. Another, by Christopher Nicholson, is The Elephant Keeper [F NIC]. 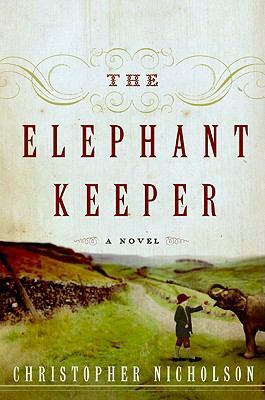 The Elephant Keeper is a absorbing novel that would undoubtably make a great movie, but I'm afraid that if the film were true to the book, it would be too hard to watch!